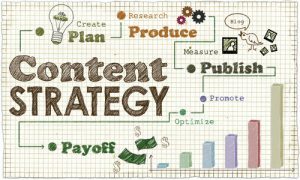 A well thought-out strategy is what drives the results of your content marketing. Take time to define your audience and your end goals, and you can be confident the work you put into content creation will bring you more of the construction clients you really want. Plan toward your goal – Getting clear on exactly what you want your content to do is the first step in making that content work. If your goals is to encourage your target clients to set up in-person appointments, you’ll need content that leads them through each step of the way. Some of your content should grab their attention when they’re in the early stages of planning a project, some should help them evaluate their options, and some should aim to convert them by showing them what your company can do. Zero in on your audience’s problems – Writing any content that might interest “middle-class homeowners” or “retail chain facilities managers” in general isn’t necessarily enough to turn those readers into clients. To really pull them in, your content should aim to solve their problems. Start by developing a buyer persona for each type of client you want to attract. Outline their goals and challenges so you can tailor your content toward giving them exactly what they’re looking for in a construction company. Also consider the formats they might prefer, such as blog posts, Facebook updates or video. Create an editorial calendar – Using a calendar to plan your content production in advance gives you the time you need to create high-quality content. You’ll have time to gather data, conduct interviews, and organize your thoughts to develop the kind of in-depth content your potential clients need to see before they trust you with a major construction project. A calendar also makes it easier to ensure you’re publishing a good balance of content for each stage of your marketing funnel and that all your content works toward a common goal.